Michael Gaines – Senior Business Development Manager, Senior Sessions Leader | Jack B. Keenan Inc.
For over 15 years, Michael has specialized in helping clients address needs around Sales Strategy, Change Management, Leadership and Team Development. Michael has worked with mid-level managers to CEO’s from technology, advertising, hospitality, entertainment, consumer products, professional services, banking and the government sector. Additionally Michael has worked across operations, finance, research and development, production, marketing, sales, legal affairs and IT. Michael began his Organizational Development career as an instructor and business development manager for the corporate training programs at Outward Bound, where he worked delivering leadership development programs for such clients as Coca-Cola, Home Depot, and Cox Enterprises. 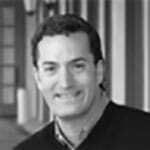 Michael has been a Partner with St. Charles Consulting Group (the former Arthur Andersen Learning Center group), as well as a Vice President of Organizational Consulting with Right Management Consultants. Michael’s business operations experience comes from his first career as a Production Manager for Bill Cosby and Carsey Werner Productions and later for NBC Sports and Turner Broadcasting where he managed the budgets and logistics for such events as the NBA Championships, World Cup Soccer, and The Olympic Games. Most recently Michael has consulted to key executives at Apple, Google, Synaptics, Yahoo, Alvarez & Marsal, Grant Thornton, Autodesk, eBay, Cypress Semiconductor, Cirrus Logic, Actel/MicroSemi, and Hewlett Packard. Michael is the Past co-President of the Northern California Chapter of the Association for Strategic Planning and is the co-President of the Northern California Temple University Alumni Club with over 1,500 members. Michael holds a Masters degree in business administration with a focus on strategic leadership from Dominican University and earned a Bachelor’s with a concentration in Business Administration from Temple University in Philadelphia, Pennsylvania.